Devil's Punch Bowl Stoney Creek Ontario. The Devil's Punch Bowl conservation area contains two separate falls, the Upper and Lower Punch Bowl Falls. The Upper Falls is a 5.5-metre classical waterfall, and the main Lower Falls is a 33.8-metre ribbon waterfall. The Devil’s Punch Bowl is one of the Niagara Escarpment’s most amazing sights, created at the end of the last ice age by huge melt-water rivers that plunged over the Stoney Creek Escarpment, thus carving the Punch Bowl and gorge. From the bottom of the falls, one can see the many different coloured rock layers of the Escarpment. The Devil's Punch Bowl is the only area where one can view such a large vertical display of Ordovician and Silurian stratified rock. Some of the layers include Queenston Formation red shale, Cabot Head grey shale, limestone, and shale dolomite. There is a spectacular view of Stoney Creek and Hamilton Harbour from the lookout, not to mention the view down into the seemingly bottomless gorge. The Dofasco 2000 Trail, an 11.5-kilometre trail through upper Stoney Creek that features a long boardwalk section through Vinemount Swamp Forest, begins here. There is an annual clean-up for the Devil's Punch Bowl, for more information visit the Escarpment Project Devil's Punch Bowl page. 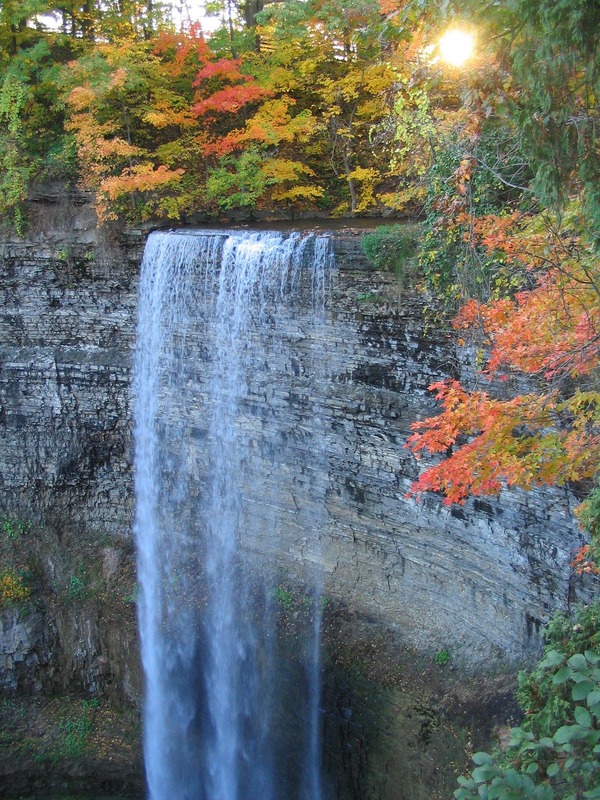 For more information about the Devil's Punch Bowl, please visit The Hamilton Conservation Authority.